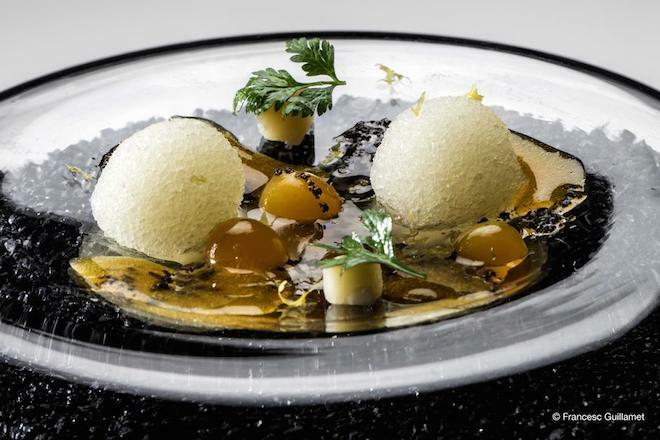 A Barcelona restaurant — that serves transparent, gelatin macaroni and invites guests to wash their hands in whisky as they eat their deconstructed whisky tart — has been named the 2017 restaurant to watch by a group of gastronomical tastemakers. 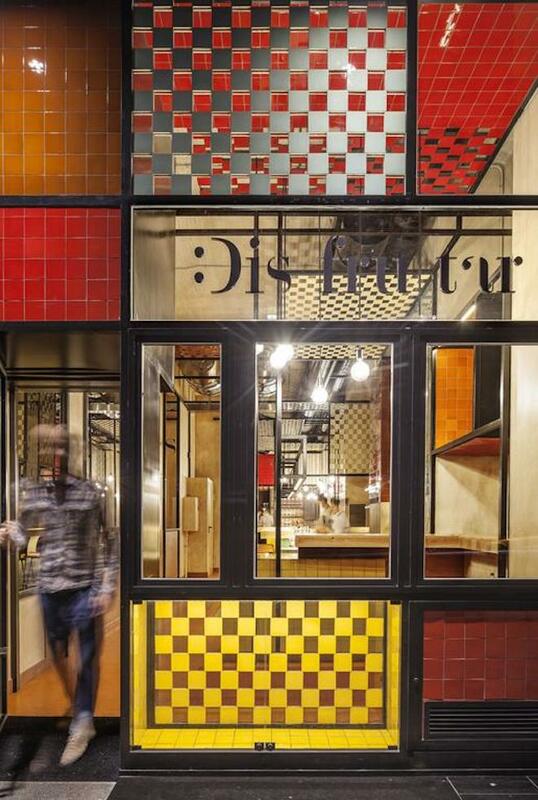 Disfrutar, helmed by a trio of El Bulli alumni, has been named the recipient of the Miele One to Watch award by the same group that organises The World’s 50 Best Restaurants awards. 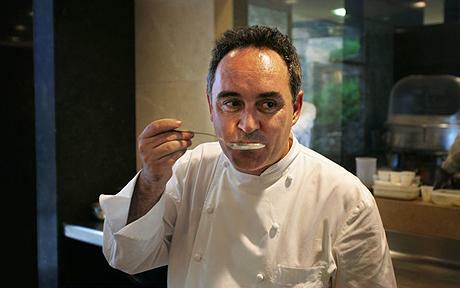 Chef Ferran Adria‘s restaurant El Bulli restaurant in Catalonia, Spain, which shuttered in 2011 at the height of its popularity was, perhaps, one of the most exclusive dining destinations in the world in its time. 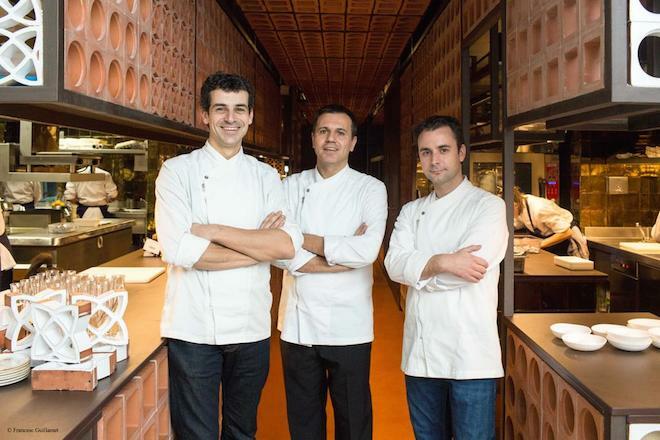 Since leaving the now legendary restaurant, chefs Mateu Casanas, Oriol Castro and Eduard Xatruch teamed up to open their own ventures. Disfrutar, which means “to enjoy” in Spanish, is their second restaurant after Compartir (“to share”) which is located in the coastal town of Cadaques. 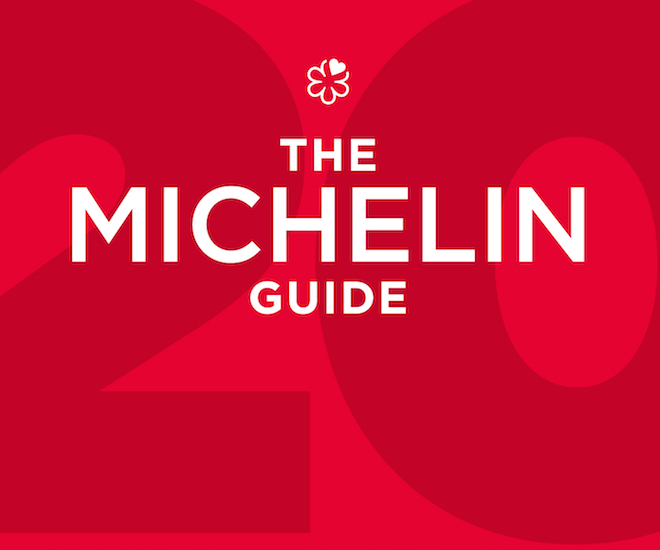 Their sophomore effort earned the chefs their first Michelin star in 2016. 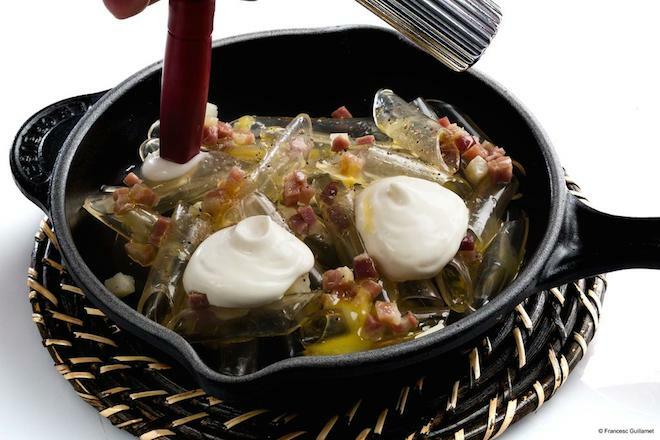 True to their El Bulli training, the menu at Disfrutar upholds the principles of modernist cuisine and is described as “avant-garde, theatrical and inventive.” One of their signature dishes includes curiously transparent penne pasta made from gelatin, tossed in truffle foam and Parmesan, served tableside. A deconstructed whisky tart also invites guests to wash their hands in whisky and inhale the scent as they eat. “Being named this year’s winners of the Miele One To Watch Award is a huge recognition of our collective work,” said chef Xatruch in a statement. 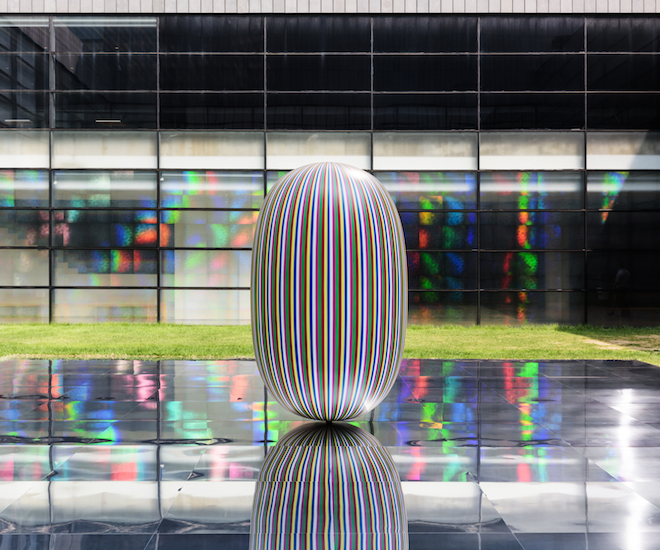 The One to Watch award shines the spotlight on emerging talent and recognises a restaurant outside the 50 Best list, which has potential to rise through the list’s ranks in the near future. 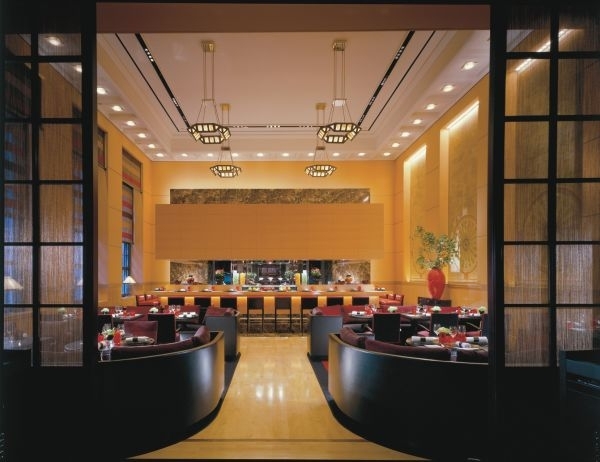 Previous winners include Den in Tokyo, Sepia in Sydney, Saison in San Francisco and The Tasting Kitchen in Cape Town. 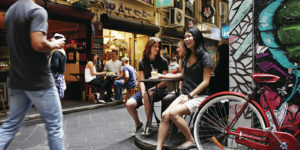 The World’s 50 Best Restaurants Awards takes place in Melbourne, April 5.